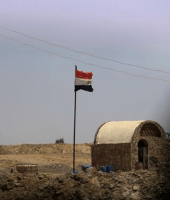 A group of armed assailants attacked worshipers at a mosque in North Sinai’s Rawda village on November 24, 2017, killing 311 civilians. It was the deadliest terror attack in modern Egyptian history. 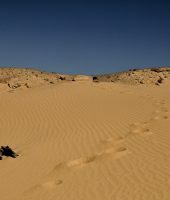 A convoy of Egyptian security personnel was overcome by militants near Bahariya Oasis. The attack was among the deadliest events for Egypt’s security forces in its war on terror. 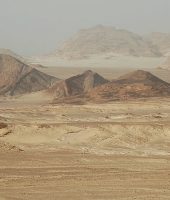 Wilayat Sinai on Monday claimed responsibility for an attack on a police convoy on the Qantara-Arish Road in the Taloul area of North Sinai that killed 18 police personnel and wounded seven. 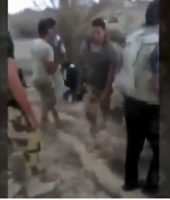 An April video released by Muslim Brotherhood-affiliated Mekameleen channel depicts what appears to be state-backed militiamen carrying out extrajudicial killings of civilians. 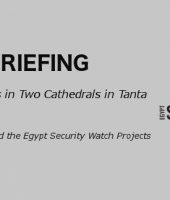 Twin bombs at Coptic Orthodox cathedrals in Alexandria and Tanta exploded on Palm Sunday, April 9, 2017, killing 47 and injuring up to 113. 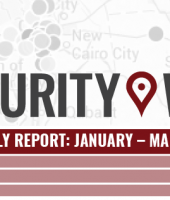 The number of reported terror attacks across Egypt dropped to 168 in the fourth quarter of 2016, compared to 209 in the third quarter and 225 in the second, the report finds. 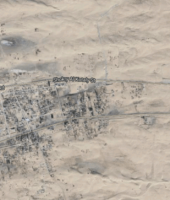 In the last four weeks, seven Christians have been killed in the city of Arish in North Sinai, changing the nature of violence in the peninsula. While Egypt is no stranger to sectarian and extremist violence, the attack struck a devastating chord for its brutality, its symbolic weight, and its portent for future trends.